Continental Carbonic offers the broadest line of dry ice blasting machines on the market and will use our years of experience to find the right equipment for your particular application. 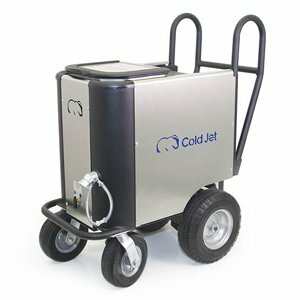 Cold Jet's acquisition of IceTech has united the two leading global innovators of dry ice technology and provide consumers a comprehensive portfolio of dry ice blast cleaning equipment. 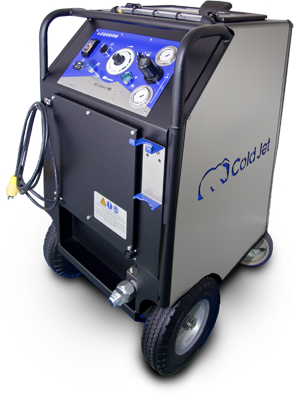 The Cold Jet Aero Series, including the Aero 40FP and Aero 80FP, is a line of performance class dry ice blasting cleaning machines that guarantee the best pellet integrity, maximum cleaning aggression and most reliable blast stream on the market. 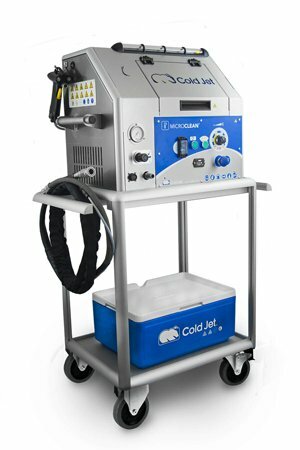 The Cold Jet specialty dry ice blasting machines including the i3 MicroClean, SDI Select 60 and the Aero C100 offer application specific solutions for more specialized dry ice blasting needs. 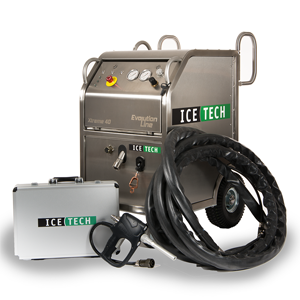 For industrial line of dry ice blasting applications, the IceTech dry ice blasting machines are the most versatile dry ice blasting machines on the market. 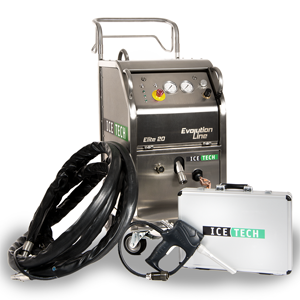 The Elite 20 and Xtreme 40 from the Evolution line of multi-powered dry ice blasting machines boast a modern design with stainless steel frames, easily operated control panels with LED notifications, insulated hoppers, hinged doors and a quick change dosing disc for straight-forward maintenance. 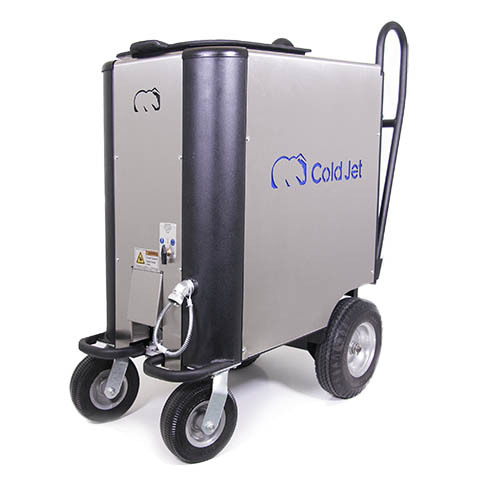 When combined with the available low flow or high flow IT3 nozzle kits, these dry ice blasting machines become extremely versatile industrial cleaning solutions for a wide range of applications. Elite 20 3/4" Xtreme 40 3/4"
Pneumatic dry ice blasting machines from Phoenix Unlimited offer ergonomic controls, safety interlocks/guards, and quick release airlocks. These are 100% pneumatic machines with low and high pressure options.